Are pairings here to stay? 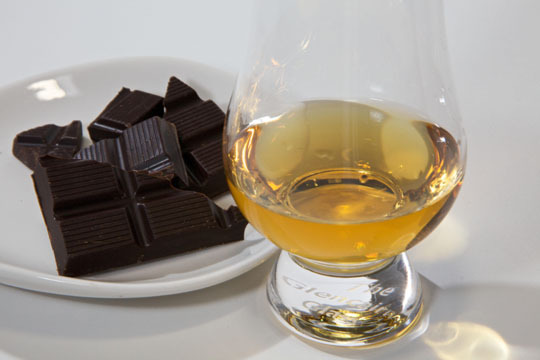 The relatively nascent trend of pairing food with whisky (and now brandy) is all the rage at the moment. I for one am delighted – a burgeoning friendship between one’s great friends, what could be better? Moreover chocolate, sincerely one of my very dearest friends, seems to be a popular pairing partner – hooray! But are pairings just a passing fad or do they have the legs to become a classic consumption ritual? The basic idea with a pairing is synergy. The flavours of the whisky or brandy (or whatever – other spirits will surely follow if they’re not doing so already) and the food should complement and enhance each other, thus creating a whole that’s more than the sum of the parts. Interesting, but hardly so revolutionary that I spilled my drink as I jumped up in excitement. Wine has obviously been doing the same thing for millennia. Pairings fall into two distinct groups – at least in my view of things: the drink is paired with a meal, and more elaborately, a separate drink is paired with each course of the meal, or food is paired with a drink. The distinction is a reversal of the primary and subsidiary roles. My forecast for the former is pessimistic. Wine, as a meal-accompanying beverage, also plays a lubricating role, which spirits, with their higher alcoholic strength, can’t really hope to fulfil, at least not without a level of dilution that compromises flavour. I suppose that one could supplement with water, but that’s unwieldy. People gravitate towards the simple and the natural, and personally I can’t see this becoming habitual – although at the very least it offers an alternative in good company: my uncle’s tut-tutting when I’ve drunk beer instead of wine comes to mind…water off a duck’s back. Nonetheless, these musings certainly don’t suggest that one couldn’t and shouldn’t enjoy an occasional meal pairing experience. I recently attended two lunch functions – Checkers LiquorShop at the Bascule and KWV-Brandy Foundation at the Pot Luck Club (more on these shortly) – where the hosts used this platform, quite superbly, to exhibit their offerings. I would continue but I’m drooling all over my keyboard. May the dram be with you! This entry was posted in Uncategorized and tagged brandy, Brandy Foundation, Checkers LiquorShop, KWV, Pairing, Whiskey, Whisky. Bookmark the permalink.